The iPhone 6 #Bentgate controversy is not over yet, despite Apple’s to dismiss it as a minority problem. Samsung is hot on the heels of the issue to show off that its Galaxy Note 4 can withstand the three-point bending test better than its biggest competition in newly released video footage, reports SamMobile. 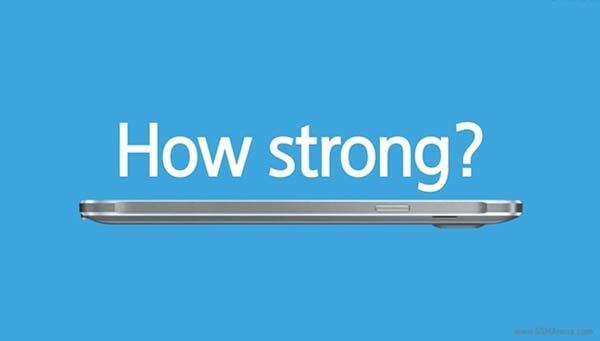 Samsung tries to prove that its Note 4 is a durable beast and will not be at risk to bending or permanent deformation even after the three-point bend test and the human weight test. The video kicks off by explaining, via a simple animation, how stuff tends to get misshapen when people keep them in their back pockets and sit on them. The #BendGate issue which bought the iPhone 6 Plus to everyone’s attention, in a negative way, shows a stress test where a little pressure was applied with bare hands and as a result you get a deformed iPhone 6 Plus. The Note 4 is already on sale in South Korea, and will be released in 140 other markets around the globe by the end of this month. However poker-of-fun Samsung is currently facing some issues of its own. The internet has recently been a-twitter with talk of #GapGate, where some Note 4 units were found to have large gaps between the screen and chassis – as a consequence from poor construction or assembly. Some users have such a gap that a credit card can be stood up in the gap. Which way will the negative #gate news swing – which is the worst construction gaffe – Apple’s or Samsung’s?